The QSC K12.2 represents the second generation of QSC K Series - highly regarded around the world in the front of house, mobile DJ.. The QSC K12.2 represents the second generation of QSC K Series - highly regarded around the world in the front of house, mobile DJ, corporate and live music arenas as one of the best compact loudspeakers available. At the top of the range lies the 12" cabinet, packed with technology to make it one of the front runners for modern front-of-house and live sound applications. 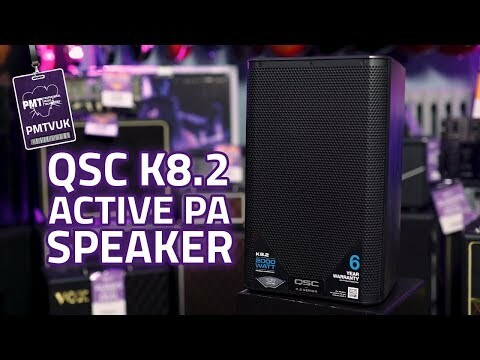 The QSC K.2 Series is quite simply, the next standard in powered loudspeakers. To start, each model is equipped with a 2000-watt power module carefully matched to high-performance woofers and compression drivers. DMT (Directivity-Matched Transition) ensures smooth coverage across the entire listening area. Advanced on-board DSP provides Intrinsic Correction voicing and advanced system management to further optimize performance. 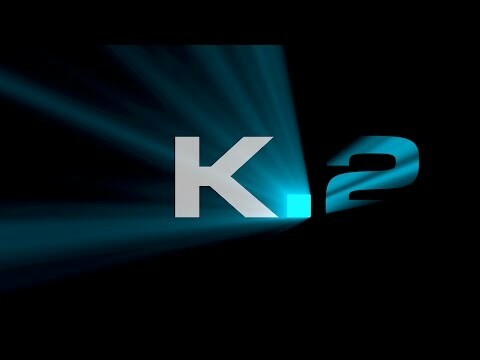 Rugged, light-weight and incredibly stylish, the K.2 Series also features a global 6-Year Warranty with product registration. The K12.2 features a pair of balanced combo XLR/F plus 1/4-inch TRS connectors with independent gain control are provided. The first is equipped with selectable MIC/LINE (Microphone or Line) level input while the second offers selectable HI-Z/LINE (High Impedance or Line) level input, specifically for musical instruments. Both inputs are connected directly to a pair of XLR/M throughput connectors so that the signals may be “daisy-chained” to another audio device. A 3.5 mm TRS input jack with independent gain control is also provided for connection of sources such as smart phones, computers, and MP3 players.